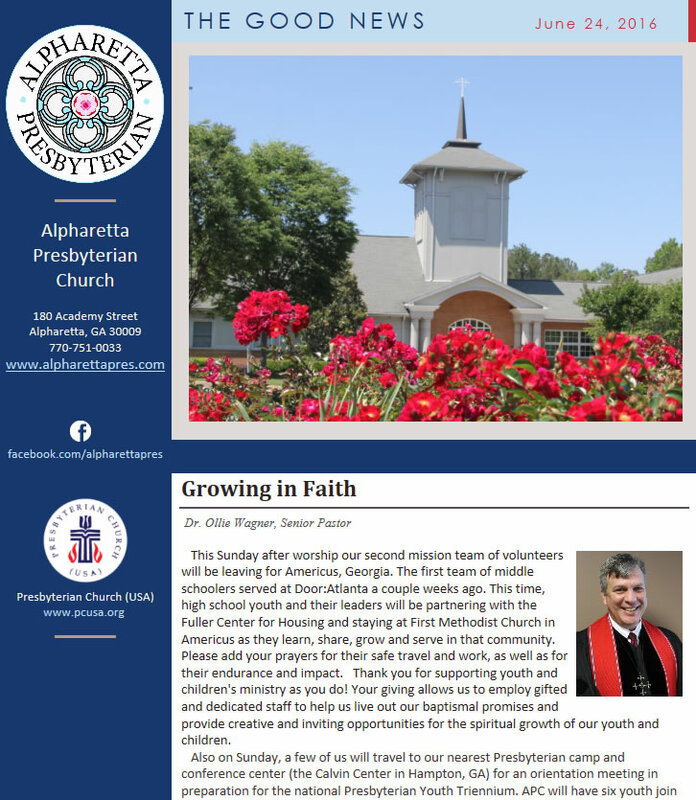 APC’s weekly e-newsletter, “The Good News,” is delivered via email on Fridays and is packed with information on church events and activities. We also send occasional e-blasts detailing important reminders of upcoming events, as well as pastoral updates. Subscribe to “The Good News” and APC’s electronic communications.